Sapa is a northwest frontier township in Vietnam. In the recent years, it has become the most booming tourism spot that consistently welcome thousands of visitors per month solely for its captivating beauty and enriched cultures. People choose to stay in Sapa when they can fly out to go visit other provinces to feel, experience and appreciate Sapa at its true value. How long is the train trip from Hanoi to Sapa? 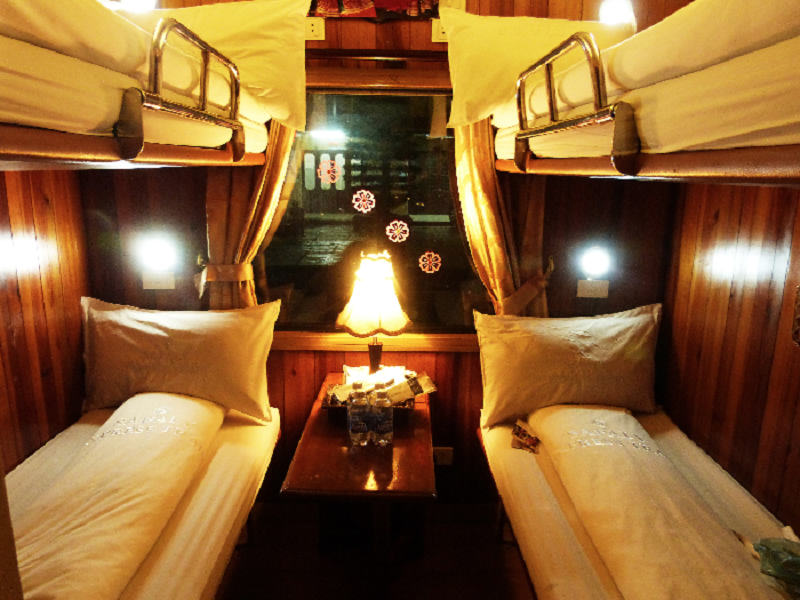 The most comfortable and safest way to Sapa from Hanoi must be the overnight train. 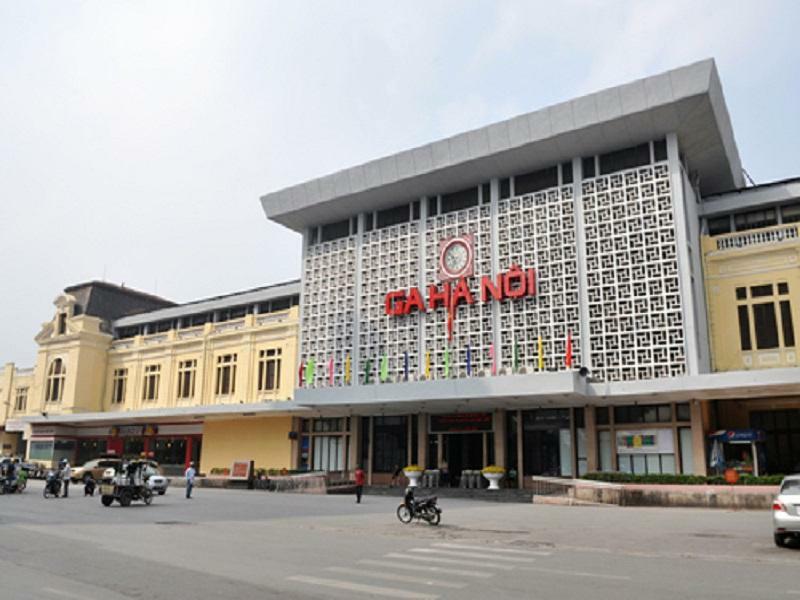 There are 3 evening training at 20:35 (SP7), 21:10 (SP1) and 21:50 (SP3) (these are odd number trains) directly from Hanoi Main Station (120 Le Duan Street, Hoan Kiem District, Hanoi City) to Lao Cai daily. The train is about 9hrs, a full night sleep on train. 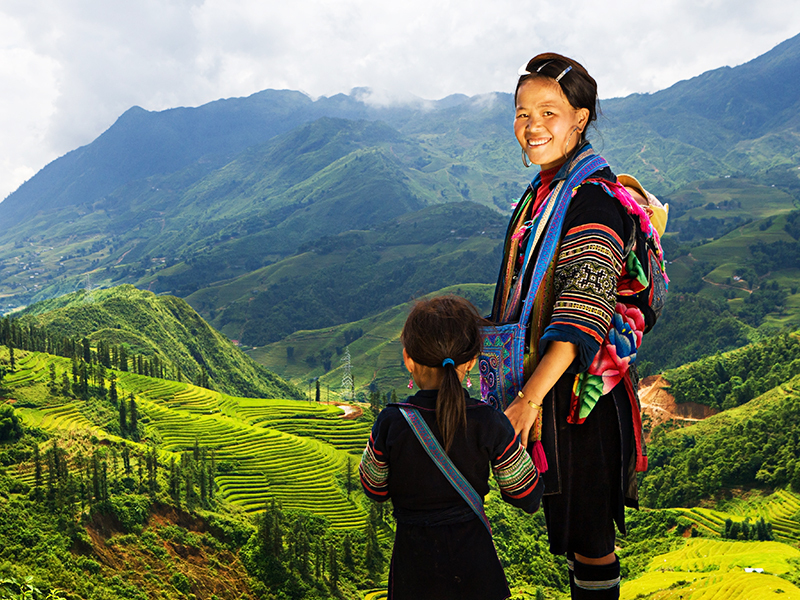 Once you get there, take a minibus to transfer to Sapa for approx. 30mins. The trains leave Sapa to Hanoi are at 17:30 (SP8), 20:15 (SP2) and 21:00 (SP4) (these are even number trains). 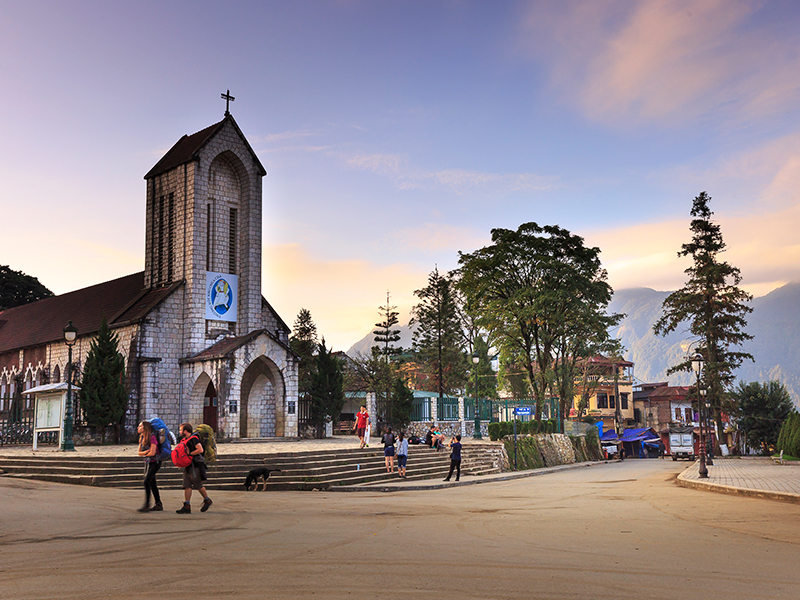 The minibus operates around 17:00 to Sapa station, right at Sapa Old Church. You might have to note that down to remember, otherwise you might have to ask your front desk reception to help you out with the private car rental, which might turn out to be a bit expensive than the minibus. Sapa Bus Drop Off is located at the Sapa Old Church, right in the center of Sapa. SP trains fare is around $26 ~ $79 per person. If you are looking into a cheaper train alternative, you can take the LC1(20:00) and LC3(6:10) and back with LC2(18:45) and LC4(9:15). Those trains are longer than the SP trains, and the amenities aren’t the same. Cabin are packed with 6 hard bunk beds, and hard seats. LC3 and LC4 only offer hard seats. Not on the comfortable, but it will only cost $15 ~ $30 per person. The train offers soft seats cabin as well as private coaches, which runs by Victoria, Orient Express, Sapaly , Fansipan , and a few more. Each coach consists of 4 compartments with a manual AC adjustment at the front, 2 small toilets located at both the front and the back. These private cabins are installed with 4 first class berths each, built in AC system, fresh bed sheets, pillows and throw blankets. Doors can be locked from the inside, so you can rest assured the whole way up to the destination. Get ticket at the train station might be impossible. Always plan in advance, get your tickets purchased online or via travel agents. For food, not much dishes served on the train, it’s best to have your dinner before departure. Definitely bring snacks, drinks (if you want to), and your own water bottles, though they do provide each passenger a 330ml bottle water. Pack your own amenities, such as hand wipes, toothbrushes, toilet papers, etc. If your toilets get jammed up, take your time to travel up and down a few carriages to look for another one. During the night, the temperature might be a bit chilly, you might consider to bring a light blanket to keep you warm. To be honest, the Sapa trains aren’t anywhere near Amtrak train quality in the States, but definitely the best in Vietnam’s standard. If trains aren’t your thing, you can take the sleepers bus instead. The road to Lao Cai isn’t in the best shape of all, they can get a little bumpy up North. The bus fare is more reasonable, approx. $15 ~ $20/person. 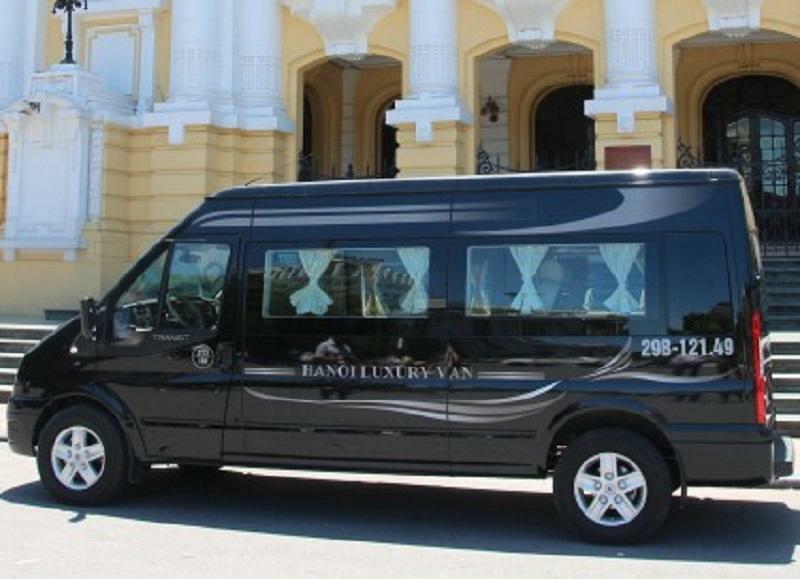 There are private sleepers bus operators to Sapa, such as Sapa Express, Eco sapa bus,Pumpkin Limousine,Hung Thanh, Queen Cafe, Inter Bus Lines, Sao Viet, Sapa Shuttle Bus, and a few more. You can leave Hanoi and Sapa as early as 7:00 or as late as 23:00 daily and get to your destination after 9 hours of driving. Please also book your bus tickets in advance. If you go during the tourist months, not just the train, the bus will also be packed. You have your bags stored in the under bus storage, so keep your valuable and amenities with you. They won’t unload your luggage until you reach to the destination. Beds on the bus are generally small and typically don’t lie flat as the berth on the train, they’d rather like your car seat in almost full recline. Buses stop at a few stations for bathroom breaks, that means you aren’t supposed to drink much water on the bus, or you’ll be sorry later. Some sleepers bus provide free wifi to get you entertain, a big perk compared to the train. Some prefer to rent out a car. The only downside is the long 9 hours driving trip would not be too excited toward the end, would it? This option, however, allows you to fully experience the roads, flexible schedule, and get to explore different locations before you reach to Sapa. The price range for car depends on your choice of car, anywhere from $165 one way Hanoi to Sapa for 2 days and 1 night, $300 round trip Hanoi to Sapa and back for 2 days and 1 night. Renting out a van might cost a bit more, around $185 to $350. Always always always book in advance. Ask for quotations from different vendors. It’s best to ask your front desk hotel for help. You might get a bargain with that. You don’t need to tip your driver if you don’t want to. Keep the rental car company business card, in case you have issues with the driver (just in case). Renting a car means they’ll drop you off at your Sapa’s hotel and you have the flexibility to have it drive you around the town or any places you want to visit without the trouble of asking for directions. You are up for adventure? Renting out a motorcycle from Hanoi to Sapa might be the most adventurous thing you can do. Unless you are familiar with the traffic in Vietnam, I would never recommend you to. This gives you a great deal of Vietnam’s life, especially the North region’s culture. It also allows you to easily get around Sapa, as the most popular vehicle here is motorcycle. If driving a whole trip freak you out, but you still want to get your ride fix around Sapa, just rent one out once you get there. Sapa does offer bike and motorcycles rental around the city. You can easily rent one out from your hotel’s lobby. The private helicopter departs from Gia Lam Heliport (55 Nguyen Van Linh Street, Long Bien District, Hanoi City located right at Gia Lam Airport). 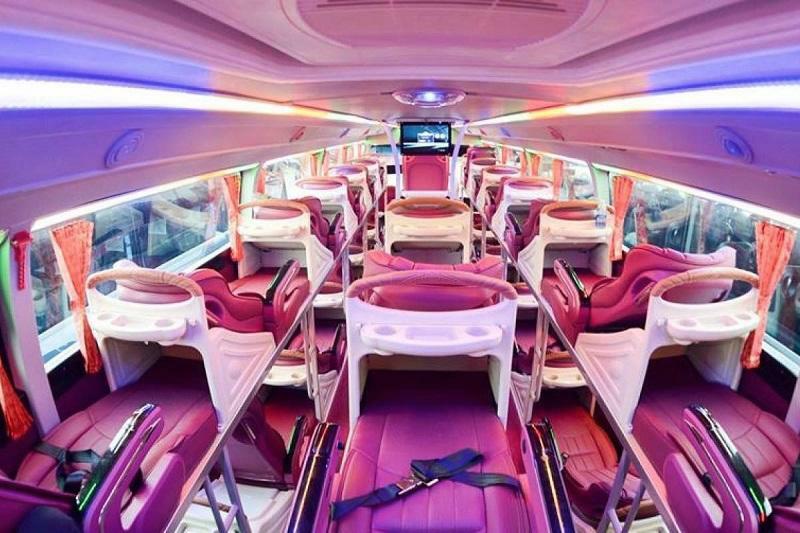 It offers 12 to 24 seats max per route, and costs at least $17,000 for a round trip from Hanoi to Sapa and back for the MI – 17. All the rice paddy terraces, natural caves, together with the mountainous landscaping creates a stunning photographic panorama of Lao Cai from the above. 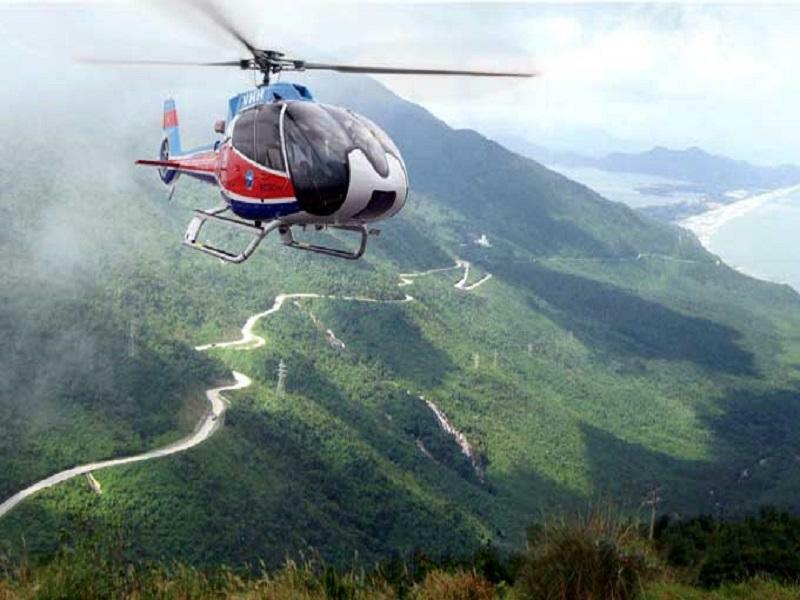 This high budget transportation is a game changer for Sapa travellers, it takes less than 1hr 30 mins to get to Lao Cai Heliport. From here, you’ll be heading to Sapa on a private comfortable drive. You will be able to have your private guide if you go by helicopter. It comes as a package. If you are interested in taking your Sapa travel experience to a whole new level, please feel free to contact our Sapa Tours counsellors. Either by cars, buses, trains, motorcycles or helicopters, there are both pros and cons in each option. I suggest you to consider each option seriously, it’s better be safe than sorry. Private guides are also available at TrekkingSapa.com, we’ll help you to plan out your Sapa trip the best possible. Let’s see our Sapa tours for more details.